Music written for solo instruments has only to survive the whims and wiles of one artistic temperament to be given concert life. Orchestras require strong leadership that can cajole and convince every member of the ensemble to share the vision and coalesce into a single purpose. Chamber music, with one mind per part, requires compromise from every contributor if the performance is to lift off the page rather than merely be read from it. Those lucky enough to have a copy of The Beauty of Two are in for a marvellous array of lesser-known works delivered with passion, honesty and skill. The cover artwork, while pleasing to the eye, is somewhat misleading: a pair of red roses belies the disparate instruments that come together on each track only to blossom and grow into a unity of thought that totally engages the ear and the heart and—in one instance (Grieg’s unabashedly romantic Sonata for Cello and Piano)—allows the music to come across better than it is. From the first bow, it was clear that Orkis and cellist David Hardy were of singular purpose. They soared through the orchestral-in-scope (and filled with homage to Dvořák and Mendelssohn—don’t miss the cello’s arpeggio glue in the return following the brief cello cadenza) movements, producing impassioned climaxes, sturdy passagework and a conversational style that engaged with every phrase. The balance was also commendable. For those who prefer “up close and personal,” the micing won’t disappoint as the fingerboard is as much in evidence as the pedals. Hardy’s magical tone production and discreet portamenti are constant pleasures; in the Finale’s sequence-rich, hide-and-seek development the musical discourse is of such a high level that the time flits by in a flash and convincingly finds its way to the big, broad finish. 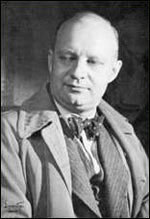 An entirely different world can be found in Hindemith’s fourth Sonata for Viola and Piano. Violist Daniel Foster, once past the first trek to the stratosphere, puts every fibre of his being into the incredibly crafted architecture. Orkis leads or follows as appropriate; both dig into their strings with compelling surety. The true Fantasie morphs seamlessly into the youth/folk-inspired first set of theme and variations, increasingly frenetic and, at times, threatening to burst into jazzy riffs. The second group plumbs the emotional well, describing rhapsodic bliss, calm relief, triumph, melancholy and a syncopated merry dance that will bring you to your feet. And all of that in just 10 minutes, proving once again how masterful Hindemith’s writing can be. Least successful, but still from a universally high standard, was Poulenc’s charming/dreamy Sonata. Flautist Toshiko Kohno tossed off the notes with ease, but in the opening “Allegro” was perhaps a metronome notch too fast to bring out the subtlety of feeling. Her wide range was tested at every turn but once soaring into the higher register, an ounce more support would have finished the phrase in a manner that satisfied beyond the initial moment of arrival. “Letting go” in the “Cantilena” (as did happen to a certain extent in the reprise), would reach more souls and, no fear, Orkis can always be counted on to move in tandem. The “Presto giocoso” was tremendous fun, requiring only a drier touch from the keyboard and hot-stove lift rather than punch on the exclamation marks to venture into the realm of joy. The closing sonata is ideal in that Martinů delves into nearly every possible aspect of the different roles that two accomplished musicians may be asked to fulfill: solo declamation, harmonic support, dramatic entanglements and resolution (after the “Poco andante’s” extended piano subject there is a magnificent section of ebb and flow that finally recedes into the cello, yielding an unforgettable moment of contemplation from Hardy’s exceptionally crafted phrasing), understandable dialogues and the ability to slip into the background (the “Andante’s” cornucopia of creativity—in the fashion of “Night Music”—aptly demonstrates all of these techniques in just minutes).